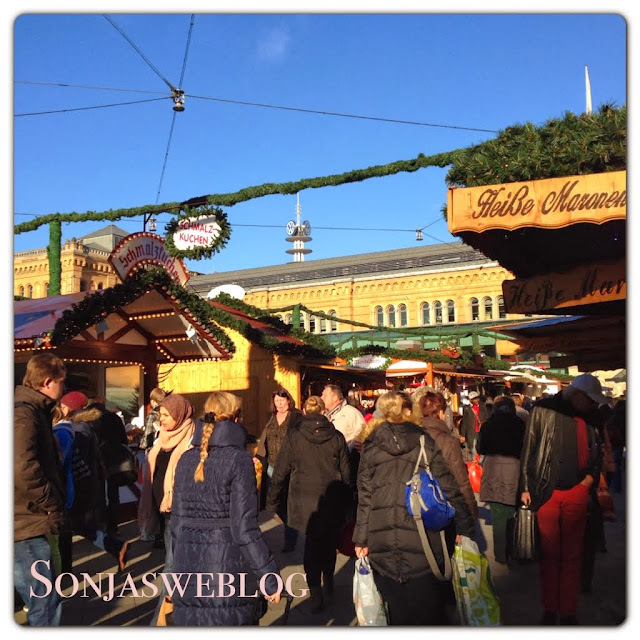 Below is a picture of such a stall (mulled wine, bratwurst etc.). The stall is quite large and hosts a gigantic version of a traditional Christmas candle pyramid: This pyramids are originally from the Ore Mountains of Germany and are thought to be the predecessor of the Christmas tree. The pyramid consists of several platforms with a long pole in the middle. At the upper end of the pole there is propeller driven by candles. The heated air spins the propeller and the discs connected to the pole. The big pyramid version is just for decoration though and makes an excellent meeting point. I love the Christmas markets! In particular since it's getting dark so early the markets are creating a cozy atmosphere with all the lights and decorations and smell of food. But also during day time it's a hustle and bustle. The picture below was taken on a weekday at lunch time! 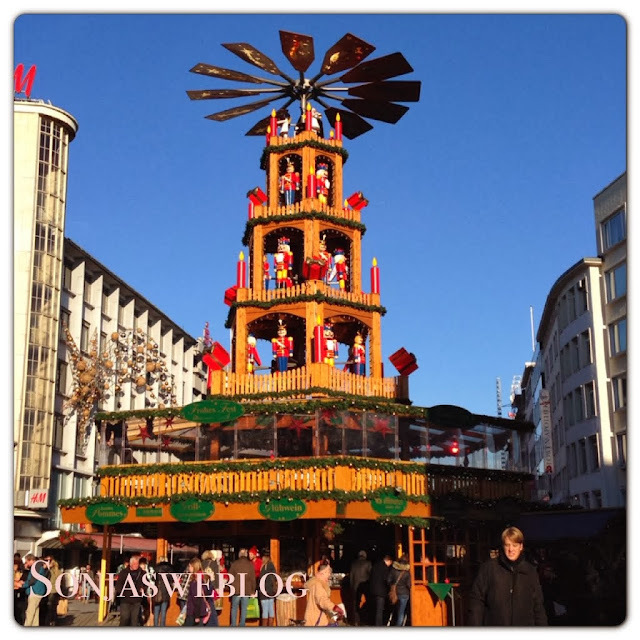 I enjoy a lot the X-Mas market, but only during the week: in Aachen, during the weekend, it is so full that is not pleasant anymore :-( I tried, for the first time, hot apple juice this year, and really like it! Dikke knuffel, and have a great 2014!